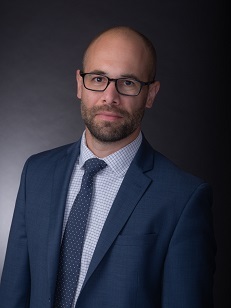 Christopher G. Cardinale is a Partner with Alvarez-Glasman & Colvin, with extensive experience handling both transactional and litigation matters. He currently serves the city of Buena Park as its city attorney. Since 2009, Mr. Cardinale has assisted AGC's public agency and private clients on municipal law, land use, contracts, constitutional law, environmental law, and redevelopment matters. He has gained significant experience advising planning commissions and city councils on Brown Act compliance. He regularly advises city councils and planning commissions at regularly scheduled and special meetings. He presently serves as the Assistant City Attorney for the City of Montebello and as a Deputy City Attorney for the cities of Pomona, Pico Rivera, and Bell Gardens. Since the dissolution of redevelopment agencies (Assembly Bills 1x26 and 1484), Mr. Cardinale has become a preeminent authority on post-redevelopment agency dissolution procedures and successor agency matters. On the general litigation side, Mr. Cardinale has extensive trial and appellate court experience in civil rights matters, contract disputes, CEQA compliance, extraordinary writs, the Public Records Act, post-redevelopment agency dissolution procedures and successor agency matters, and land use matters. With regard to his transactional experience, Mr. Cardinale has handled land use and planning matters, contract negotiations and drafting, ordinance crafting, dispute resolution, real property transactions, and day to day municipal affairs. Prior to joining AGC, Mr. Cardinale clerked for the Law Offices of Alvarenga & Clark, where he assisted on criminal law and juvenile dependency matters. Mr. Cardinale holds a J.D. from Pepperdine University School of Law, where he was named to the Dean's List numerous times, and received the prestigious CALI "Excellence for the Future" award in the course "Police Practices," a class focused on the constitutional issues associated with daily police work. In 2013, he was named Top Attorney in the field of Civil Litigation by Pasadena Magazine for the third consecutive year. Mr. Cardinale is a Southern California native. Prior to law school, Mr. Cardinale attended Azusa Pacific University where he earned a Bachelor of Arts in Communication Studies. Fair Housing for Sober Living: How the Fair Housing Act Addresses Recovery Homes for Drug and Alcohol Addiction, republished in "At The Cutting Edge 2010-Land Use Law from The Urban Lawyer." © 2011 American Bar Association. Alcoholism, Drug Addiction, and the Right to Fair Housing: How the Fair Housing Act Applies to Sober Living Homes, republished in the California Public Law Journal, Vol. 33, No. 2, Spring 2010. Alcoholism, Drug Addiction, and the Right to Fair Housing: How the Fair Housing Act Applies to Sober Living Homes, published in California Real Property Journal Vol.27, No. 4, 2009.